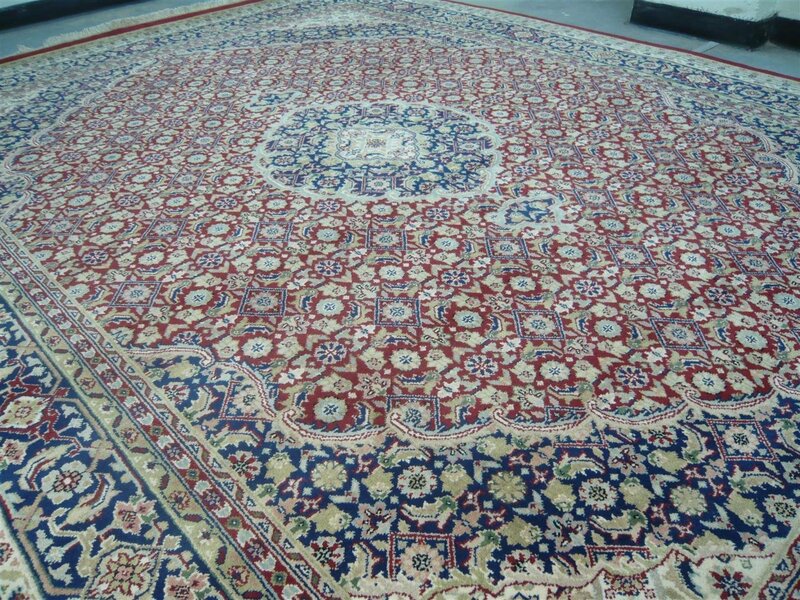 Woven in villages to the East of Agra in the Bhadohi region of India these superb rugs are made under the supervision of the Baranwal family. (This family set up and run the Rajendra Baranwal School to educate some 800 Girls in rural India). 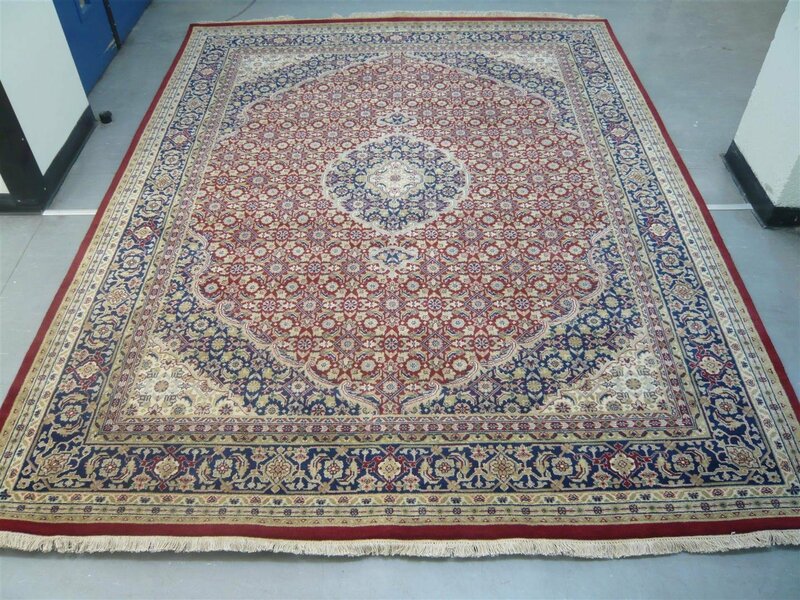 These rugs are specially made for us and as such are exclusive to Oriental Rugs of Norwich. The pile is fine imported New Zealand wool hand woven on to a strong cotton foundation with the pile cut thick. 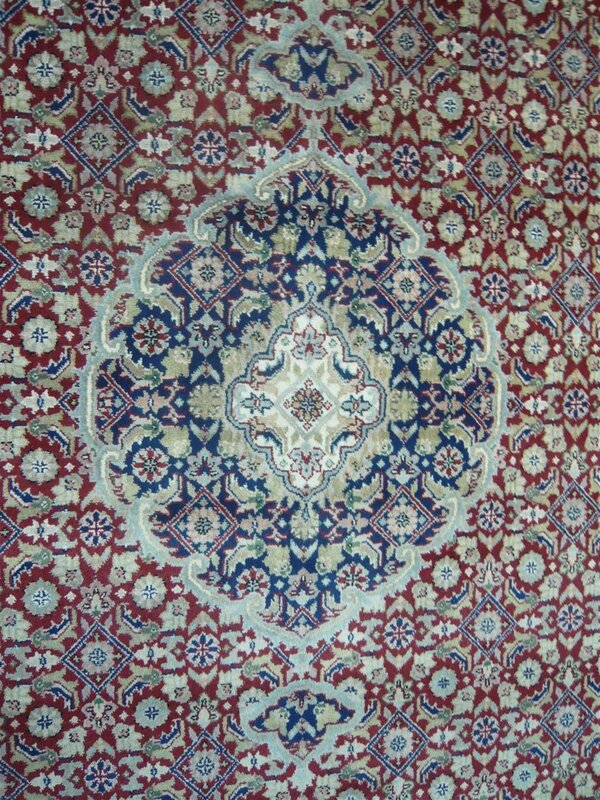 The pattern is taken from the old Persian Herati design - one of the oldest of all weaving patterns. 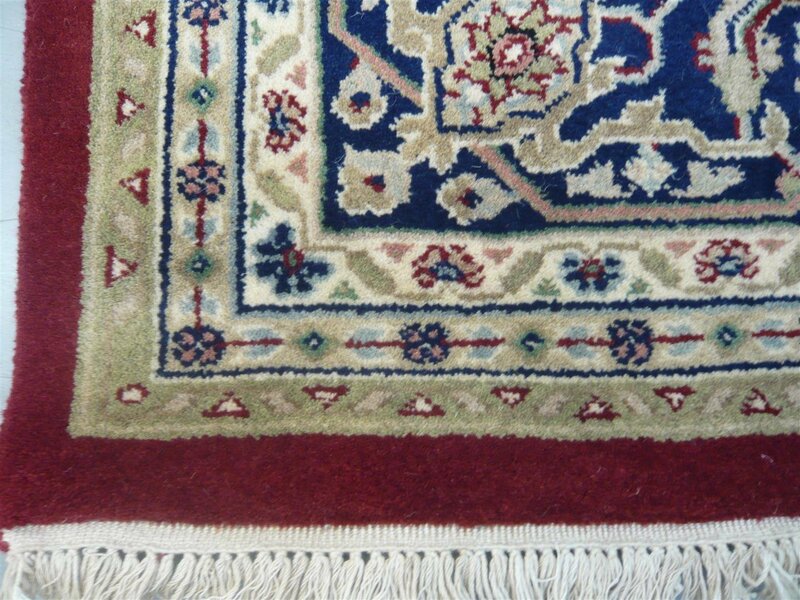 These rugs are luxurious to the touch, have a deep sumptuous pile and are very hard wearing. They are suitable for all applications in the home. This particular piece features the red background with dark blue and red cream & light blue used to pick out the borders and corners. 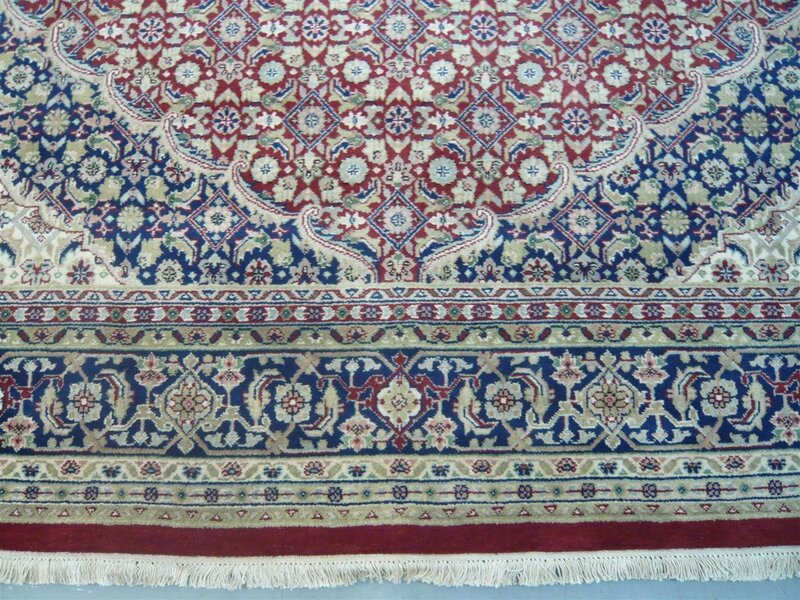 Size of this superb example is: 9 feet 10 inches long by 8 feet wide. ( 3.00 x 2.43 metres ). 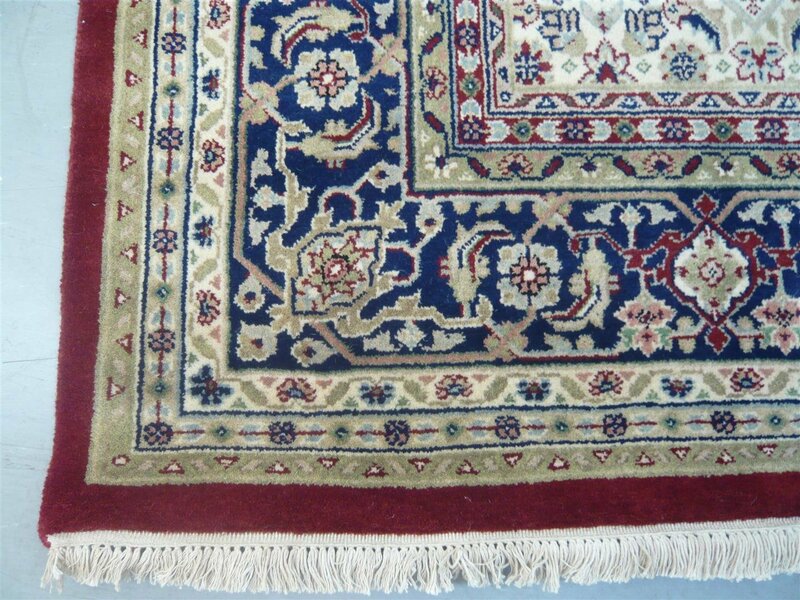 Several other rug & runner sizes available now from stock. 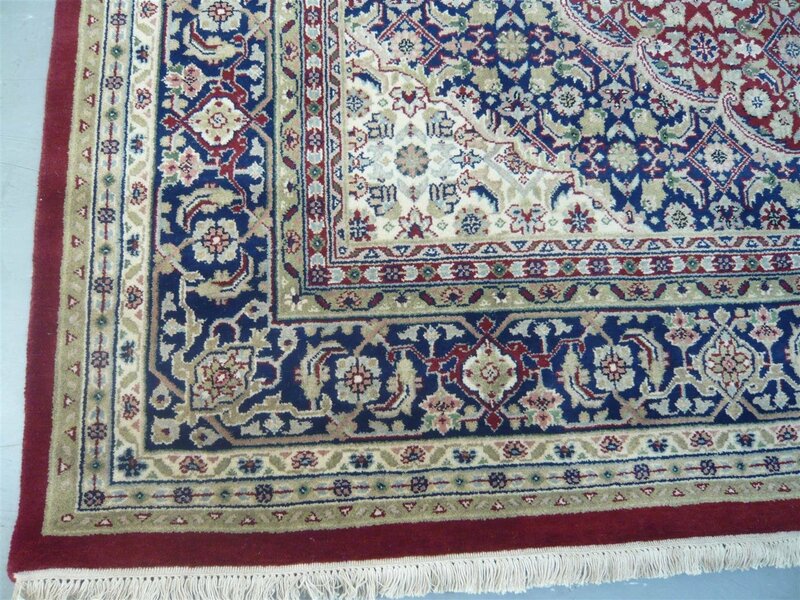 We also have 1 rug only in size 11'8" x 9 feet. ( 3.56 x 2.72 metres ).